We provide a full range of supportive care services for patients including counseling, nutrition consulting, and one-on-one peer support, to name a few. With their stories of strength, hope and courage, cancer patients offer inspiration to all of us. To see if Mamta Parikh is accepting new patients, or for assistance finding a UC Davis doctor, please call 800-2-UCDAVIS (800-282-3284). 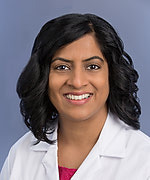 Dr. Parikh is an adult medical oncologist who specializes in medical treatment of genitourinary malignancies including kidney/renal cell, bladder, prostate, ureteral cancers /germ cell tumor cancers. She is a strong advocate for providing patients with comprehensive care such as mutational profiling, regional therapies, clinical trials and supportive care. Dr. Parikh is an adult medical oncologist who specializes in medical treatment of genitourinal cancers including kidney/renal cell, bladder, prostate, ureteral and testicular cancer/germ cell tumor. Dr. Parikh is interested in conducting clinical trials for these malignancies and has a particular interest in novel treatments for prostate, renal, and bladder cancer including molecular targeted therapies, immunotherapies and therapies to overcome resistance. Parikh, M, Riess, J, Lara, PN. New and emerging developments in extensive-stage small cell lung cancer therapeutics. Current opinion in oncology. 2016;28(2): 97-103. Dumas A, Parikh M, DeMartini J. A lump in the elbow- where did all that calcium come from? Journal of Investigative Medicine. 2014;62(1): 251. DeVita, RJ, Parikh, M, Jiang, J, Fair, JA, Young, JR, Walsh, TF, Goulet, MT, Lo, JL, Ren, N, Yudkovitz, JB, Cui, J, Yang, YT, Cheng, K, Rohrer, SP, Wyvratt, MJ. Identification of neutral 4-O-alkyl quinolone nonpeptide GnRH receptor antagonists. Bioorganic & medicinal chemistry letters. 2004;14(22): 5599-603. Lin, P, Parikh, M, Lo, JL, Yang, YT, Cheng, K, Smith, RG, Fisher, MH, Wyvratt, MJ, Goulet, MT. Heterocyclic derivatives of 2-(3,5-dimethylphenyl)tryptamine as GnRH receptor antagonists. Bioorganic & medicinal chemistry letters. 2001;11(8): 1077-80. DeVita, RJ, Walsh, TF, Young, JR, Jiang, J, Ujjainwalla, F, Toupence, RB, Parikh, M, Huang, SX, Fair, JA, Goulet, MT, Wyvratt, MJ, Lo, JL, Ren, N, Yudkovitz, JB, Yang, YT, Cheng, K, Cui, J, Mount, G, Rohrer, SP, Schaeffer, JM, Rhodes, L, Drisko, JE, McGowan, E, MacIntyre, DE, Vincent, S, Carlin, JR, Cameron, J, Smith, RG. A potent, nonpeptidyl 1H-quinolone antagonist for the gonadotropin-releasing hormone receptor. Journal of medicinal chemistry. 2001;44(6): 917-22. Fan WH, Parikh M, Snyder JK. Inverse Electron Demand Diels-Alder Reactions of Indole. A New Route to Beta-Carbolines. Tetrahedron Letters. 1995;36(37)(Sep): 6591-6594.